Hot Bhojpuri actress Akshara Singh is at the forefront in being one of the sexiest ladies in the industry. Be it raising temperatures with her sensuous avatar on-screen to sweeping the audience off their feet with her seductive and sultry photos on Instagram, the bombshell leaves no stone unturned to make a mark. To make hectic weekdays seem fun and relaxed, Akshara Singh shared a series of selfies which are too hard to miss. These hot pictures with pout is making everyone go wow. 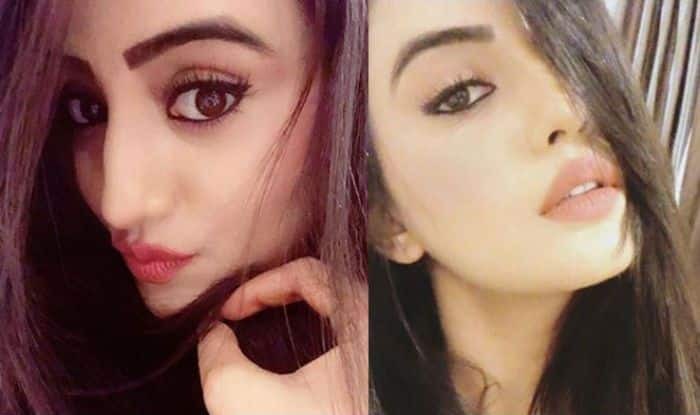 Akshara Singh is a selfie queen. With a major fan following of 603k fans on Instagram, the actress keeps them updated with their personal and professional life. Akshara has worked with big Bhojpuri stars like Ravi Kishan, Pawan Singh, Khesari Lal Yadav and Dinesh Lal Yadav. She rose to fame with songs such as Akhiyon Se Goli Mareba, Dhadkaa and Balam Ji Love You.